It had the right amount of curves and chunky legs, plus I'm always drawn to lighter, coastal looking finishes. Its 63" long, so just perfect for two chairs on each side, or maybe three if I get a bench. It shipped almost immediately and was at my door in three days! The legs were a little difficult to screw into the tabletop by myself but Brian helped me get them all level and even. 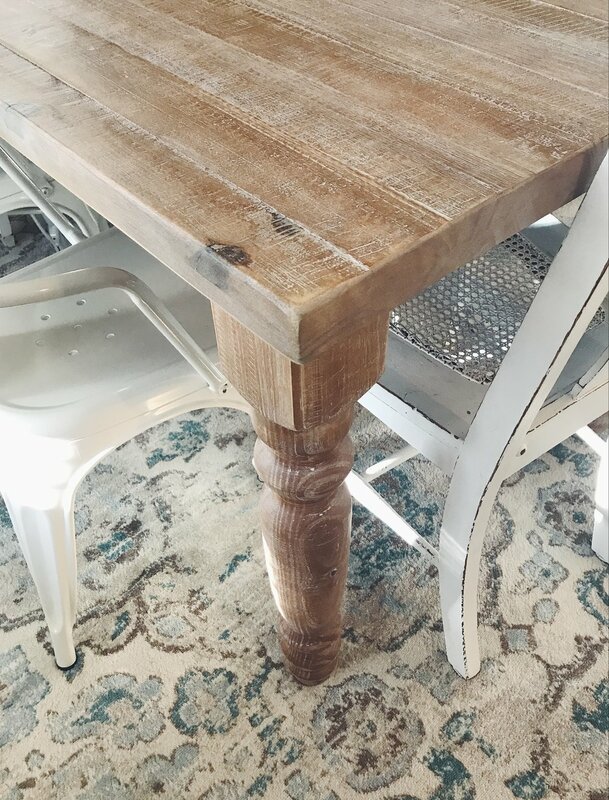 Our original table had a small dent in the top and I called Wayfair and they promptly shipped me a brand new one free of charge! I was super pleased with their Customer Service and generous resolution. The finish really works with my "soothing" color palette for my home, adding the warmth of wood without being too dark. I love it so much and I will treasure it for years to come! Dec 29 My new living room rug!